Do you want to bring your digital communication efforts to the next level? Don't hestiate to call us at +352 20 60 01 15 or send us an e-mail or use the contact form to get in touch. check out our speakers page to see the topics and enquire about our availability. Interested in joining our team as an intern, full-time or as a contractor and located in Luxembourg or the Greater-Region? 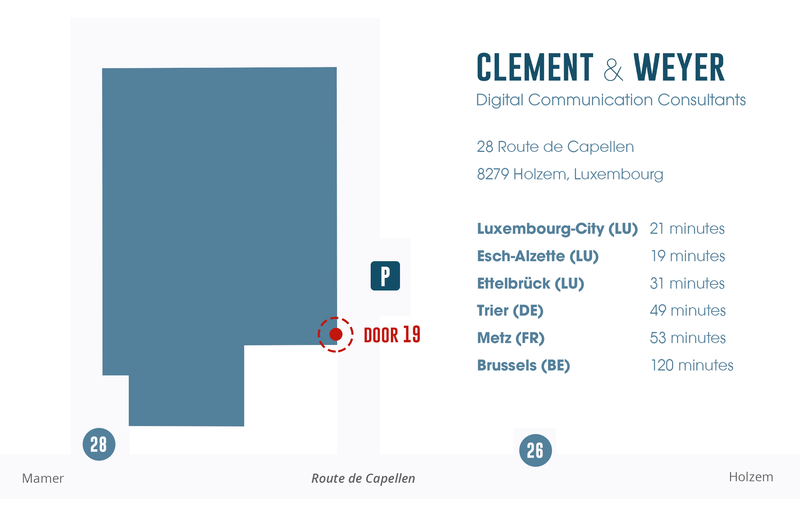 Please drop us a line at hello@clement-weyer.lu! Clement & Weyer Consulting S.à.r.l.